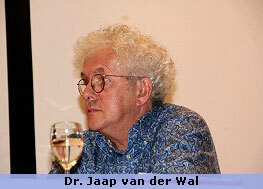 Dr. Jaap van der Wal: "Is There a Soul Before Birth?" Medical doctor and associate professor of Anatomy and Embryology at the University of Maastricht, Holland. He has developed a passion for human embryology and how biology expresses the essence of human spiritual development and unfoldment. Dr. Mae Wan Ho: "The Quantum Coherent Liquid Crystalline Organism". Physicist, author of the highly acclaimed book 'The Rainbow and the Worm' and editor of 'Science In Society'. She is one of the most influential figures in the debate about the use of genetically modified organisms. Stanley Keleman: "The Organism as a Pulsatory Continuum". Eminent body psychotherapist who has been practising and developing somatic therapy for over thirty-five years and is author of the pioneering books 'Emotional Anatomy' and 'Your Body Speaks Its Mind'. Katherine Ukleja: "Two For Joy - The Role of Happiness in Survival and Health". Practised osteopathy for many years before qualifying as a craniosacral therapist. She is a highly regarded teacher of craniosacral trainings in England, USA and Switzerland. 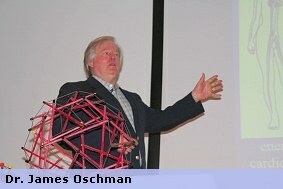 Dr. James Oschman: "The Living Matrix and Trauma Energetics".Biologist, physicist, researcher and world authority on energy and complementary medicine. He is author of the ground-breaking books 'Energy Medicine: The Scientific Basis' and 'Energy Medicine in Therapeutics and Human Performance'. Franklyn Sills: "Source, Being and Self - The Nature of Being and Self in the Therapeutic Holding Environment". Craniosacral therapist, psychotherapist and one of the pioneers of a biodynamic craniosacral approach. 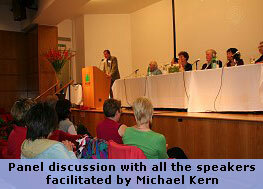 He is author of 'Craniosacral Biodynamics Vols. 1 & 2' and 'The Polarity Process. 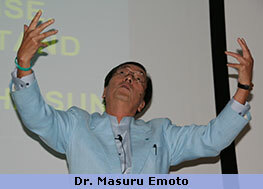 Dr. Masaru Emoto: "Love Thyself". Pioneering researcher into the subtle properties of water and author of international best-sellers 'Messages from Water 1 & 2' and 'The Hidden Messages in Water'. 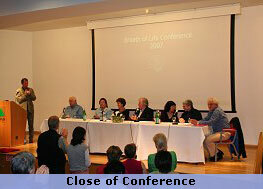 Panel discussion with all the speakers facilitated by Michael Kern D.O., R.C.S.T., B.C.S.T., M.I.Cr.A., N.D.